Music hack of the decade: Panflute Hero! @raspberry_pi #piday #raspberrypi « Adafruit Industries – Makers, hackers, artists, designers and engineers! 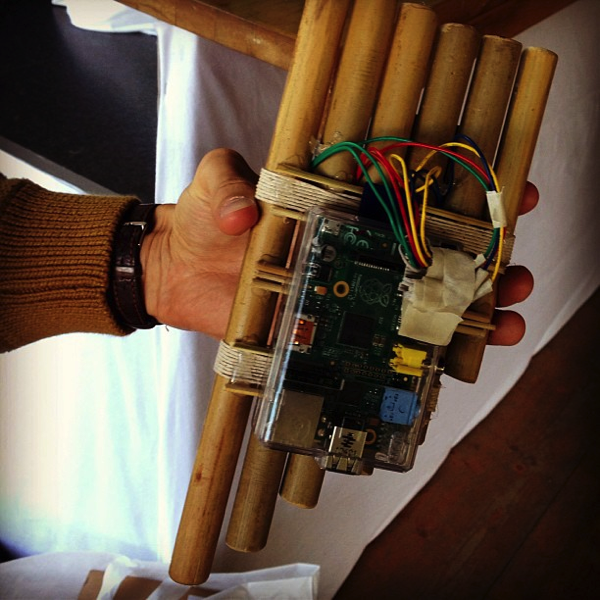 The folks over at Raspberry Pi have dubbed this pan flute project “music hack of the decade”. Jhonny Göransson was part of the team that made what’s simply the daftest and most wonderful music hack we’ve seen so far. The moment he tweeted about it last night, we knew we had to show it to you as soon as we could. 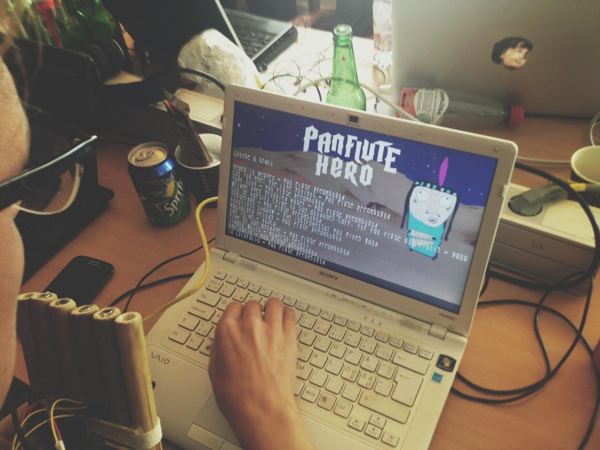 Panflute Hero was the result of a weekend at Way Out West Hackathon 2013. It’s a very silly panpipe version of Guitar Hero, which doesn’t use a plastic guitar controller. Instead, it’s controlled by a hand-built, bamboo set of faux panpipes (which are built according to the Golden Mean), all equipped with Arduino sound sensors that detect blowing, and controlled by a Raspberry Pi sending “blow” events to a desktop over TCP. Simulated flute noises are emitted when a “blow” is sensed, and…well, see for yourself.